It has become a ritual in every part of the nation: a group of people of American Indian heritage, eyeing potential gambling profits, band together and seek federal recognition as a tribe. But in their quest, these groups have created another tribe in search of wealth: the troop of genealogists, historians, treaty experts, lobbyists and lawyers they hire to guide them through the process. And the crucial players in this brigade are the casino investors who can pay for it all. There are now 291 groups seeking federal recognition as tribes, and many have already signed with investors seeking a piece of the nation's $15-billion-a-year Indian gambling industry. Among the dozen or so groups awaiting final determinations from the federal Bureau of Indian Affairs, two-thirds have casino investors bankrolling them, said Eric Eberhard, a lawyer specializing in Indian law. If their risk is huge — most would-be tribes have been turned down for recognition — so is their potential payoff. And yet there are increasing complaints, from casino investors as well as government officials and opponents of gambling, that the big money and high expenses are turning the tribal-recognition process into a costly boondoggle. "You have all these experts and they're like an army — genealogists, historians; it's like a never-ending battle," said Tom Wilmot, a Rochester shopping mall developer who estimates he has invested "well in excess of $10 million" since 1995 to support the application and reapplication of a group called the Golden Hill Paugussett, a group in Trumbull, Conn., near Bridgeport. "It's easy to spend millions, and then when you get turned down you're basically back to submitting more briefs again." Mr. Eberhard, a former staff member of the Senate Committee on Indian Affairs who practices in a Seattle law firm with many tribal clients, said costs had been driven up by the sheer number of groups seeking to become tribes and the scarcity of experts to back their claims. "It has never been inexpensive, but prior to the advent of gaming it was reasonable to say it cost between $100,000 and $200,000," he said. "Now it runs in the millions of dollars because there is a finite pool of experts available to assist them, and so they go to tribes who have developers who can pay them." But in Connecticut and elsewhere, state officials and citizens' groups that are trying to slow the spread of Indian casinos say the investors have no one to blame but themselves. The deluge of gambling money has corrupted the process, they say, so that rulings on tribal status are based less and less on merit. "Money is driving the federal tribal recognition process," said Richard Blumenthal, Connecticut's attorney general, who is leading an effort to overturn the recent recognition of three tribes in his state. "Each of these tribes has wealthy, powerful investors who have made a very big debt on gaining recognition, because the financial payback is potentially unending and immeasurable. We're not talking about hundreds of millions here. We're talking about billions." Mr. Blumenthal also criticizes what he and other foes of gambling see as the casino-friendly management of the Bureau of Indian Affairs, the Interior Department office that rules on all applications for tribal recognition. He argues that senior bureau officials, many of whom are Indians, have conflicts of interest because of past associations with casino developers, or because they know they can become gambling consultants when they leave office. The bureau was the focus of a 2001 General Accounting Office investigation after it was disclosed that a bureau official in the Clinton administration, Michael Anderson, had signed the final approval documents for a Massachusetts tribe three days after he left office. That approval was rescinded by the Bush administration, but the investigation found that the bureau's standards for recognition were so imprecise that they left the door open to undue influence by casino investors. "The end result could be that the resolution of tribal recognition cases will have less to do with the attributes and qualities of a group as an independent political entity deserving of a government-to-government relationship with the United States," the General Accounting Office report concluded, "and more to do with the resources that petitioners and third parties can marshal to develop a successful political and legal strategy." Undue influence is also the subject of a federal investigation begun in Sacramento last month into evidence that local Indian Affairs officials were instrumental in persuading a local tribe, the Ione Band of Miwok Indians, to drop its resistance to casino gambling and to begin developing a casino in central California. All these issues involving money and influence are elements in Connecticut's effort to appeal the agency's recognition of the Schaghticoke Tribal Nation in January. Dan DuBray, an Interior Department spokesman, rejected Attorney General Blumenthal's criticism. "Federal acknowledgment of an Indian tribe is a very serious and very deliberative process," he said, "and in that process all affected parties have a voice, and they have due process." Federal recognition grants Indian tribes not only the right to build casinos, but also sovereign, tax-free status and federal help with housing, education and health care for members. All but a handful of the nearly 300 groups now seeking tribal recognition have come forward since Indian gambling was legalized by Congress in 1988. Although 53 are in California, most of the rest are east of the Mississippi, where long histories of white settlement and intermarriage have blurred tribal lineages that are still fresh in the West. There are 7 in New York, 3 in New Jersey and 12 in Connecticut, while Virginia has 13, North Carolina has 12 and South Carolina, 10. Since the Bureau of Indian Affairs was given the authority to recognize tribes in 1978, it has approved 15 applications and denied 18, while hundreds of others are still working their way through the process. But if even a handful of the groups nearing final decision succeed, opponents of expanded Indian gambling maintain, there will be a flood of new casinos throughout the East, with the attendant frictions between local communities and their newly sovereign neighbors that are roiling the politics in New York and Connecticut. 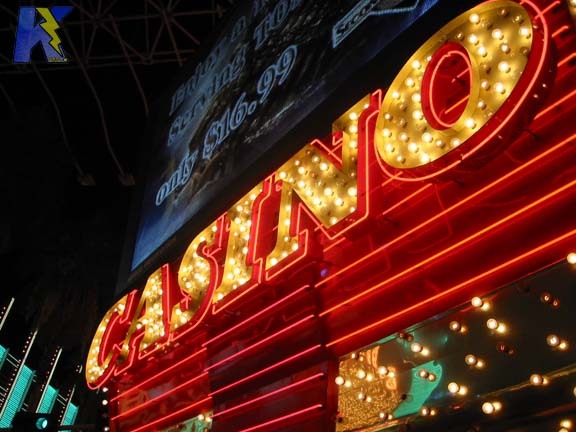 "If just a fraction of these groups receive sovereign status, they instantly become a vessel for a casino mogul to enter a state that otherwise does not permit casino gambling," said Jeff Benedict, president of the Connecticut Alliance Against Casino Expansion. "So if you are a South African businessman or an Asian financier or a Las Vegas corporation, this is your vehicle to crack into a market that you can't otherwise get into. And does that change the landscape? Absolutely." Mr. Benedict was referring to Sol Kerzner, a South African resort developer who financed the Connecticut Mohegan tribe's Mohegan Sun casino, and to the Malaysian family of financiers who backed the Mashantucket Pequots, operators of the Foxwoods Resort and Casino, and other Indian gambling ventures around the country. For groups without casino investors, the rising cost of seeking federal recognition can be daunting. In the town of Norwich, Conn., Frank Cook of the Native American Mohegan said his 600 members had applied for recognition. "We are very small," said Mr. Cook, a member of the tribal council. "We really depend on tribal dues to pay for all the actions that we have taken, because we have absolutely no backing at all." "Right now we have no plans for gaming," he said, using the term for gambling that the industry favors. "It's going to be up to the membership to decide, and who knows?" Like a canary in a mine, an article which appeared March 29, on the front page of The New York Times signals ominous developments for Indian country. 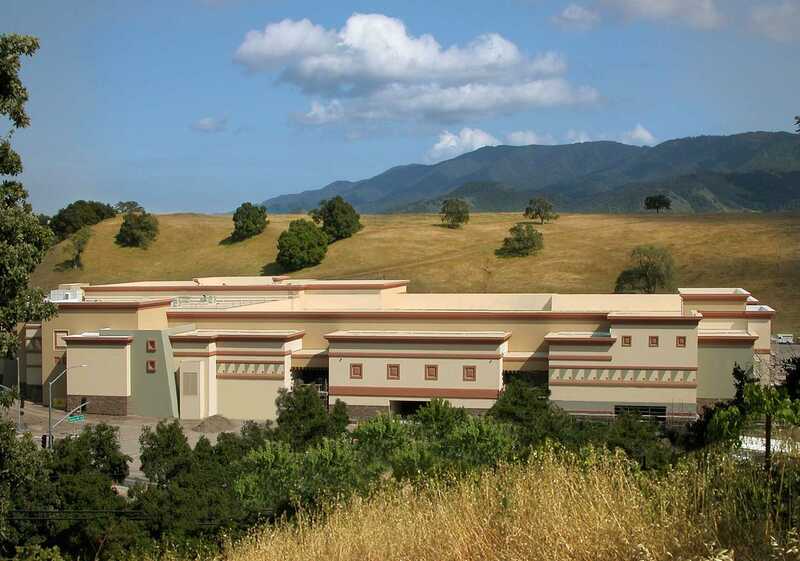 The article "Would-Be Tribes Entice Investors" ostensibly focuses on investors who provide financial backing for unrecognized tribes in exchange for a percentage of future tribal casino profits. However, the tone, factual omissions and inaccuracies of the piece render it an attack on tribal sovereignty, all the more insidious because the jabs are embedded in a news article, not in a columnist's opinion piece. That this has occurred at The New York Times which has world-wide distribution, not to mention credibility, should serve as a wake-up call for tribes regarding the pressing need to address the false and irresponsible characterizations of tribal sovereignty which appear in mainstream media. The Times article begins tongue-in-cheek regarding how tribes are formed: "It has become a ritual in every part of the nation: a group of people of American Indian heritage, eyeing potential gambling profits, band together and seek federal recognition as a tribe." Yet the author, seasoned journalist Iver Peterson, offers no factual corrective for his fictitious "ritual." He never explains that a petitioner must demonstrate historical continuity as an Indian group in order to be recognized by the BIA. In fact, recently-formed groups simply do not have the extensive historical documentation needed to prove their social, political and genealogical continuity as tribes. Nor can any infusion of investor money manufacture this evidence. Groups which suddenly decide to form a "tribe," self-destruct rather quickly, as well they should. Peterson goes on to use "tribe" as a figure of speech, calling the "genealogists, historians, treaty experts, lobbyists and lawyers" who work for petitioners, "another tribe in search of wealth." This is no innocent metaphor; instead, it serves to reinforce the view that "tribes" are voluntary associations without sovereignty and historical depth. Interestingly, Peterson does not refer to the opponents of tribal gaming as a "tribe seeking to preserve its own non-gaming territory," despite the fact that they too benefit financially from their actions. What is not included in the article is often more important than what is. Significantly, there is no discussion why unrecognized tribes seek investors to begin with. The truth is, having the money to hire professional researchers and attorneys has always been important in the petitioning process as indeed it is in any legal action. Prior to the 1990s, groups cobbled together petitions using tribal volunteers, students, pro bono law firms and miniscule grants because they had no choice. Funding was never adequate and always handicapped a group's ability to counter the claims of wealthy landowners and powerful government officials with full-time legal staff. Beginning in the 1990s, the success of tribal gaming encouraged some investors to take on the substantial cost and risk of a tribe's petitioning effort. Investor money enables unrecognized tribes to hire the experts they need to prepare and defend a well-documented petition, thereby leveling the playing field legally and politically. Indeed, under the scrutiny of petitioners' experts, serious evidentiary and procedural errors on the part of BAR have been uncovered. Are unrecognized tribes to be criticized for wanting the best consultants on their team? Does the fact that petitioners hire experts make them any less a "tribe?" Does a petitioner's economic development plans automatically undermine the reliability of its historical evidence as a tribe? In addition to omitting critical information about tribes and the recognition process, the article inaccurately states that "All but a handful of the nearly 300 groups now seeking tribal recognition have come forward since Indian gambling was legalized in 1988." The American Indian Policy Review Commission in fact identified about 150 unrecognized tribes before the BIA process was codified in 1978 and most of these submitted letters of intent to petition under the old acknowledgment regulations, years before gaming became an option. Several of the petitioners who now have petitions under active review by the BIA began the petitioning process way before the passage of the Indian Gaming Regulatory Act (IGRA) in 1988 but were handicapped by inadequate finances. Investor money has enabled these groups to complete and submit a documented petition to the BIA. It should also be pointed out that while "hundreds" of tribes may have signaled their intent to petition the BIA, only a small number have actually submitted a well-documented petition. Moreover, most will never have the historical documentation necessary to do so; there are no records for "wannabe" and recently-formed groups and most others have thin or spotty records which will prove inadequate for satisfying the BIA's onerous regulations. The timing of petitions -- before or after gaming was legalized -- is itself a red herring. It is not when a petitioning group applied for federal recognition which is relevant, but rather the merits of its evidence. Documents, records, and data will determine whether a group succeeds, not the date of its intent letter. Finally, the article liberally quotes opponents of tribal gaming in Connecticut who apparently think that politically-driven interpretations of historical evidence should guide BIA decision-making. Ironically, this is the very same position that they criticize investors for taking -- i.e., seeking to acknowledge tribes not based on the merits of the evidence, but based on political factors beyond the scope of the codified regulations. Yet a petitioner's economic development plans, be they gaming or non-gaming, should play no role in federal acknowledgment decisions. Peterson's myopic focus on investor money trivializes the historical continuity of tribes by shoving the issue of evidence completely off the table. In doing so, he fails to address how bona fide tribes are distinguished from recently-formed voluntary associations. As a result, they aren't, and readers are left to conclude that "tribes" rest on the shifting sands of investor money rather than on a solid foundation of social, political and genealogical continuity. The message is unfortunately all too clear: tribal sovereignty is for sale. Indian country needs to tell Peterson he is wrong. Christine Grabowski Ph.D. has more than 20 years experience in federal recognition and has testified before Congress on the process. She is the principal of Grabowski & Associates, LLC, a consulting firm specializing in economic development, research and analysis, and communications for Indian country. Ms. Grabowski covered all the key points in her excellent rebuttal. A check of the Petitioners' List for Federal Recognition as an "American Indian Tribe" confirms Grabowski's assertion that most tribes began petitioning for recognition before 1988. As of March 3, 1998, 110 of the 199 letters of intent listed here were filed before 1988. I'm under the impression that tribes can't conduct casino gaming unless the state has legalized such gaming for others. That's been an issue in Connecticut, where the Pequots and Mohegans could open casinos because the state had legalized Las Vegas-style casino nights for charities. Benedict is one who had hoped that repealing Connecticut's "casino nights" law would prevent other tribes from opening casinos there. If just a fraction of these groups receive sovereign status, they instantly become a vessel for a casino mogul to enter a state that otherwise does not permit casino gambling. sounds a bit disingenuous to me, if not like an outright lie. A casino mogul may enter a state, but he can't open an Indian casino there unless the state already permits similar types of gaming. In any case, why would federal recognition of a "handful" of tribes cause a "flood" of new casinos? Few if any tribes have the wherewithal to operate more than one casino. Many recognized tribes don't even operate one. The likeliest outcome: If the feds recognize a "handful" of tribes, these tribes will open a handful of casinos, not a "flood" of them. Duh.